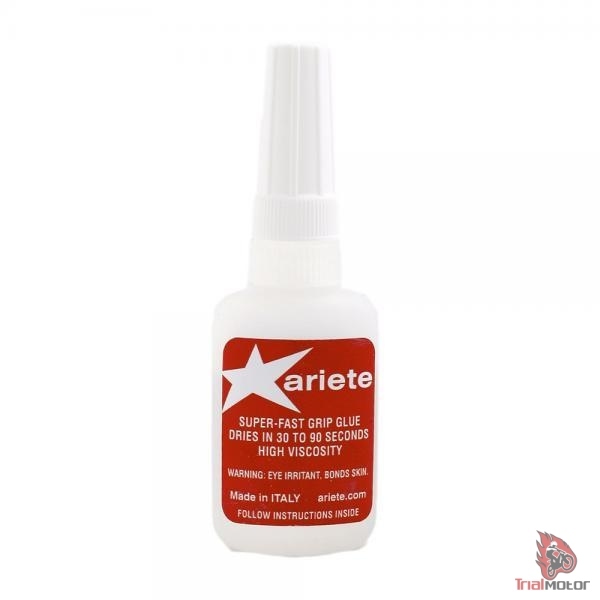 The Ariete grip glue is a guarantee that grips will not move around on the handlebar. The glue has a high viscosity for easy application and dries in 30 to 90 seconds. * if the throttle tube is damaged, replace it.